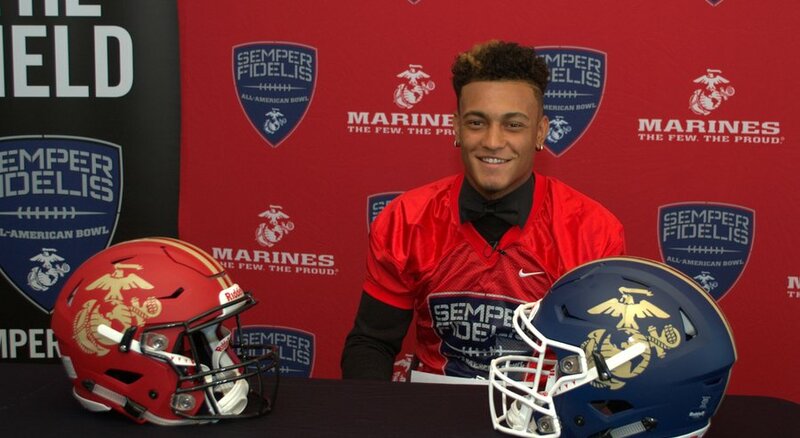 Mission Hills senior Troy Warner has been chosen to play in the Semper Fidelis All-American Bowl. San Diego Tribune. 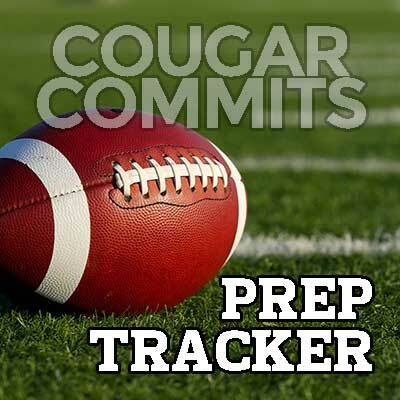 In the seventh week of High School football, nearly all of the Class of 2016 commitments stood out for their respective teams. Here’s a quick look at how all BYU’s Class of 2016 (and 2017) commitments have been performing thus far in 2015. Jaren Hall, QB for Maple Mountain High School (Spanish Fork, UT). Hall led the way as Maple Mountain (6-1) dominated Uintah 43-8. Hall completed 11 of 21 passes for 169 yards, two touchdowns, and no interceptions. He also rushed 11 times for 39 more yards and another score. Season stats (7 games): 94-178 passing (52.8%) for 1299 yards, 13 TDs with 8 INT; 69 carries for 387 yards and 3 TDs. Aleva Hifo, CB/WR for Heritage High School (Menifee, CA). Heritage (5-0) had a bye this week. Season Stats (5 games): 25 rushes for 216 yards and five TDs, nine receptions for 248 yards and four TDs, 99 yard kickoff return for another TD. Britton Hogan, LS for Olympus High School (Salt Lake City, UT). Olympus (5-2) defeated Hillcrest 49-28. Hogan continued to play as the deep snapper, but also had three receptions for 15 yards and two touchdowns. Season stats (7 games): LS; 4 receptions for 33 yards, 3 TDs. Drew Jensen, QB/S for Brighton High School (Salt Lake City, UT). Brighton (5-2) lost their second straight game, this time falling 34-24 to Sky View. The good news is that Drew is back from PCL injury and got a few reps in at the quarterback position. He went 2-8 for 50 yards, including a 47-yard touchdown pass. Jensen also saw his first reps with the defense this season, recording eight tackles and a sack. Season stats (3 games): 10-32 passing for 192 yards and 2 TD with 3 INT; 6 carries for 3 yards and 0 TDs; eight tackles, 1 sack. Darius McFarland, RB/DE for Box Elder High School (UT). Box Elder (2-5) got a much needed win with a 59-0 trouncing of Ogden. McFarland had four carries for 66 yards and had one tackle. Season stats (7 games): 58 carries for 274 yards and 5 TDs; 14 receptions fro 221 yards and two TDs; 16 tackles. Keenan Pili, LB for Timpview High School (Provo, UT). Timpview (6-1) squeaked by Timpanogos 42-0. Pili had five tackles in the win. Season Stats (7 games): 33 tackles, 1 sack. Skyler Southam, K/P/DB for Wasatch High School (Heber City, UT). Wasatch (5-2) fell 27-17 to Springville. Southam did his part with a season and career high 53-yard field goal and two PATs. Season Stats (7 games); 20-21 PATs, 14-19 FGs (long of 53 yards), 36-40 kickoffs were touchbacks; 28 tackles and 4 interceptions. Max Tooley, S for Bountiful High School (Bountiful, UT). Bountiful (3-4) lost a close on 25-23 to East. Tooley had 12 carries for 55 yards and two touchdowns, and five tackles. Season Stats (7 games): 78 carries for 355 yards and 5 TDs; 7 receptions for 26 yards; 1-2 passing for 40 yards; 50 tackles, 2 sacks, 1 interception. Keaton Torre, QB for Bingham High School (South Jordan, UT). Bingham (6-1) defeated Cottonwood 28-0. Torre recorded no statistics for the game. Season stats (through first 6 games): 23-48 passing (.479) for 379 yards, four TDs, and 2 INT; 25 carries for 6 yards. Jonah Trinnaman, WR for Snow College (Ephraim, UT). The Badgers (5-0) defeated Phoenix College 60-42. Trinnaman had another big game with 12 receptions for 256 yards and two touchdowns, and four kickoff returns for 186 yards (46.5 ave). Season stats (5 games): 2 rush for 12 yards; 27 receptions for 485 yards receiving (18.0 ave.) and 5 TDs; 11 kickoff returns, 445 yards (40.5 ave., 2nd in NJCAA), 1 TD. Hank Tuipulotu, TE for Nation Ford High School (Fort Mill, SC). Nation Ford (4-2) had a bye this week. Season Stats (6 games): 4 carries for 5 yards rushing, 1 TDs; 54 receptions for 697 yards receiving, 6 TDs; five tackles and one interception. Troy Warner, WR/DB for Mission Hills High School (San Marcos, CA). Mission Hills (5-0) had a bye this week. Warner should be back in action vs. Oceanside on October 9th, having now served his three game suspension for fighting. It was announced on September 30th that Warner was selected to play in the 5th annual Semper Fidelis All-American Bowl. Season Stats (3 games): one reception for 25 yards, 7 tackles. Jackson McChesney, RB/WR for Lone Peak High School (Alpine, UT). Lone Peak (7-0) defeated American Fork 48-21. McChesney had a quiet night with two carries for six yards and two receptions for 10 yards. Season stats (7 games): 33 rushes for 201 yards and 4 TDs, 18-284 receiving, 4 TDs.